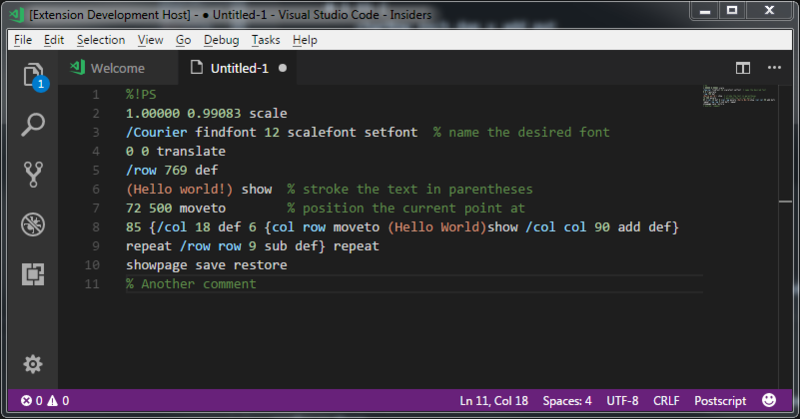 Visual Studio Code>Programming Languages>PostScript LanguageNew to Visual Studio Code? Get it now. This extension integrates syntax highlighting for the PostScript language in VS Code.